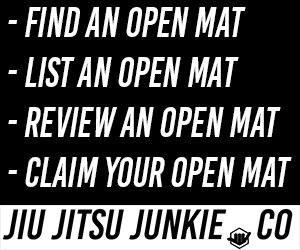 “How do I escape side control?” – The most popular white belt question. Side control. Every grappler and jiu-jitsu player has felt the suffocating pressure and feeling of helplessness of being pinned in this uncomfortable position, often combined with a nasty crossface to boot. In this article we will take a look at what makes it a dominant control position as well as the use of side control in Brazilian Jiu-Jitsu compared to other grappling sports. What makes side control such a dominant position? Since BJJ’s defining characteristic is the complex use of the guard, dominant positions are traditionally characterized by positions in which your opponent is unable to use his guard. The person in side control has thus passed his opponent’s guard (neutralizing most of his attacks) and in addition to being able to make his opponent bear his weight, he is also able to control his opponent’s hip mobility and is able to access submission opportunities. Transitions to more dominant positions such as the mount or back control are also available, and in a striking scenario, the person on the bottom will be unable to perform any significant strikes. However, it should be noted that with the exception of knee strikes, the person on top is also usually unable to inflict significant damage as well due to the fact that strikes require space to generate power and a good side control is focused on removing such space. Side control is also often considered the most difficult position to escape from, mainly due to the fact that the person on top has a high degree of mobility, allowing ‘horizontal’ transitions (i.e. transitions that don’t advance you up the positional ladder) such as north-south, scarfhold, reverse scarfhold etc. to counter escape attempts. This is in contrast to the mount, which while considered to be a more dominant position (especially when strikes are involved), takes a significantly greater level of skill to master. Hence, it is not uncommon for many grappling practitioners to favor side control over the mount, particularly at the lower levels. Further, when going against an opponent with a significant size advantage, holding them in mount can be a extremely difficult, and the mobility that side control affords you is crucial in maintaining dominant position. Check out these 3 videos below on some side control concepts. The use of side control in BJJ versus other grappling arts. In the two most popular grappling sports, judo and wrestling, side control is considered a pinning position, which under those rulesets would after a stipulated time, lead to instant victory. In BJJ’s case, under most rulesets, including ADCC, side control itself does not result in any points; however the act of passing the guard, which in most cases leads to side control, is worth 3 points. As sweeps (the most common and easiest scoring tactic in BJJ) are only worth 2 points, one guard pass is in most cases sufficient to determine the outcome of the match. This, combined with the difficulty in escaping side control, often leads to the opponent turning away and exposing the back take. As always, rulesets dictate techniques, tactics, and strategies. One notable exception is submission-only tournaments such as Metamoris, EBI, Fight To Win, and Polaris. In those tournaments, there are no points and hence the effectiveness of side control as a position is greatly reduced as without an incentive to escape, the bottom grappler is able to just assume a defensive posture and avoid submissions. Nevertheless, some of these tournaments do assign a winner based on attacks and aggressiveness in the event that no submission takes place, which does restore some incentive toward the bottom grappler to escape. However, in true no time limit submission only tournaments, especially without the gi, side control and the positional hierarchy in general loses a lot of its importance (with the exception of back control). In conclusion, the side control position is one that is seen across all grappling arts and is universally considered to be a dominant position. In the vast majority of rulesets, the grappler who is able to achieve the side control position is most likely to win the match.